Joe joined the Stennis Institute at Mississippi State University in 2010 to help coordinate and lead project and program activities related to local community and economic development. For over 15 years Joe has been working with rural communities, organizations, associations, and volunteers throughout the Southeast and Midwest. He has a strong passion for and a commitment to helping local “sparkplugs” realize their own potential and capacities. Joe strongly believes that these “sparkplugs” exist in every community or organization, and with the proper structure and support, they can go on to accomplish amazing results. Joe brings a deep understanding of practical community engagement and development strategies to each project. He has worked with over 100 industry, public, higher education, and non-profit clients to not only develop collaborative strategies, but implement those strategies as well. The result is inspired community or organizational members armed with clear results to be achieved and the needed collaboration and implementation tools to achieve them. Joe holds a B.S. degree in History, a Master’s Degree in Public Policy and Administration, and a Ph.D. in Instructional Systems and Workforce Development, all awarded from Mississippi State University. He is both a Certified Strategic Doing Workshop Leader and a Certified Strategic Doing Faculty member. His Strategic Doing efforts have focused on working with rural communities, regions, and non-profit organizations in the areas of community and economic development, workforce development, and entrepreneurship. Prior to joining the Stennis Institute in 2010, Joe was Interim Director of the Mississippi State Community Action, a Governmental Training Specialist with the Mississippi State University Extension Service, and a City Planner for the City of Germantown, TN. Joe is an active volunteer and advocate for community engagement and change in his own town, where he is involved with several improvement efforts and organizations. 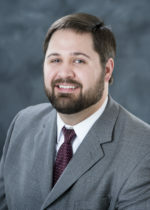 He and his wife Sarah are the proud parents of three children –Nate, Caleb, and Leah– and reside in Starkville, MS.
Jeremy Murdock is a Research Associate II with the John C. Stennis Institute of Government and Community Development at Mississippi State University. He is heavily involved in ground-level community development issues, especially those related to design, planning, and revitalization. His current work is aimed at helping community leaders take action and achieve results by fostering collaboration and taking incremental steps toward the change they want to see. Jeremy, a native of Olive Branch, Mississippi, obtained both a bachelor’s and master’s degree in landscape architecture from Mississippi State University. Following graduate school, he entered the world of community development and has worked with numerous communities in Mississippi and throughout the southeast. He is passionate about downtown revitalization, urban planning, tourism, economic development, and rural development. He is one of only two certified Strategic Doing™ practitioners in the State of Mississippi. Jeremy is heavily entrenched in community development, both professionally and personally. He is an active volunteer and advocate for quality of life issues in his own community, and has served on numerous boards and committees in his hometown of Starkville, Mississippi. Murdock’s recent volunteer efforts have included serving as the Chairman of the Starkville Convention and Visitors Bureau Board of Directors; on the Greater Starkville Development Partnership (GSDP) Board of Directors; GSDP Executive Council; and the Starkville Main Street Association Board of Directors. Murdock’s past volunteer efforts have included the Chairman of the Starkville Planning and Zoning Commission; Chairman of the Starkville Main Street Design Committee; member of the Starkville Area Arts Council Board of Directors; member of the Starkville in Motion Board of Directors; member of the Starkville Beautification Committee; and a volunteer at the Starkville Community Market among others.